I’m not famous. If I did anything on Instagram, you wouldn’t write about it. But when I broke up with my boyfriend of seven years, I became the talk of the internet. And everyone knew how it happened. They knew that I told him I didn’t love him anymore, that I was standing in my pink Bonds undies, and that I was the most horrible, heartless person they’d ever read about. 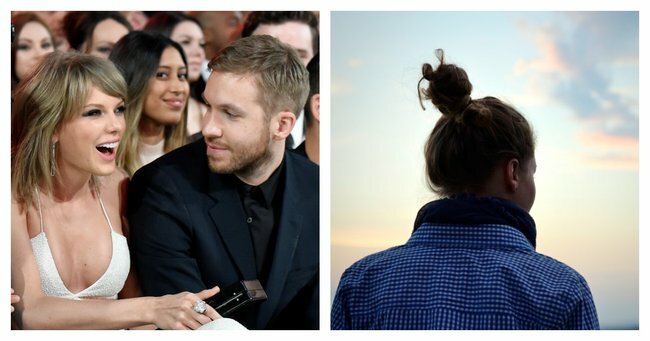 No, my ex-boyfriend wasn’t Calvin Harris, but reading his tweets, it could well have been. It was really late at night. Dan* and I were standing in our rented apartment. I spoke, then cried and he packed a bag and walked out the door, uttering a soft “I love you” as the hinges squeaked closed. He knew this needed to happen. Surely. Image via Getty. Our high-school-turned-uni-turned-fake-adult relationship was packaged like a massive, juicy pinata painted with our vomit-worthy loved-up selfies, bursting at the seams with every detail of every fight we&apos;d ever had, waiting for someone to take the first swing. The first batter up was my ex, and boy did he let loose. Dan had spared no time letting Facebook know he was single. That&apos;s fine, I thought. During the throws of our emotional "uncoupling", we hadn&apos;t talked about how we&apos;d announce the news on Facebook or social media. Because only celebrities do that and no one gives a nosey crap about what we do. "LOL you guys are so funny," a person I am no longer friends with commented. "Haha. If this actually happened I wouldn&apos;t even be sad because there&apos;s no way it could be true," someone I had never met wrote. The more the comments flowed, the more I realised Dan and I were the Pedestal Couple of our extended friendship group. You know, that couple that everyone says they love, that if they broke up there&apos;s no hope for anyone because if two people that perfect for each other can&apos;t make it in life, then love is a big fat beautiful sham. @taylorswift13 @CalvinHarris No why? I thought you two made the perfect couple. Seemed so compatible. Loved you guys together. #ThatsLife ???????? Yes, we were the goddamn Taylor Swift and Calvin Harris of northern bloody New South Wales. And like Calvin, Dan had only just begun to smash our perfect seven-year pinata all over the interwebs. His next Facebook post was brutal. "So, I guess you all heard I am now single. I want to set the record straight and tell you how this happened." Every detail of our conversation the night before was then outlined. In full screen, zoomed-in, high definition coverage, Dan told our friends, family and countless people I don&apos;t know about everything that he ever resented about me. Like Calvin, he accused me of "playing" everyone I&apos;d ever met, like I was a heartless sociopath on a mission to befriend everyone and then cut them down with some of kind of scornful knife that apparently only women possess. It was the most intimate and cringeworthy blow-by-blow you&apos;ve ever read -- with some vengeful artistic licence to boot. "She obviously wanted to end it abruptly for a reason. I have no proof, but I think it&apos;s clear who the real victim of this relationship is," he accused. I was left mortified, and shocked. The heartbreak from our breakup was one thing, but I knew that would mend. This was a whole other level of hurt. When did you know your relationship was over? Post continues after video. I received dozens of messages from friends, people I didn&apos;t know very well, family. My own personal paparazzi were honing in like vultures and it didn&apos;t stop. For weeks. Every time Dan posted an update of his "Bachelor pad" and how he was "adjusting to single life", they came back. I was nowhere near feeling ready to start dating, but if I happened to hang out with a male friend, I&apos;d get a "subtle" jab in a "subtle" status update in a matter of hours. I&apos;d know about it because people would tell me, even when I desperately expressed I didn&apos;t want to know. That&apos;s why I&apos;m on team Taylor Swift. If I were the highest earning female of last year, with one of the biggest collections of fans in the world, you&apos;re damn right I&apos;d be carefully selecting the people who are part of my life. The fact is, you didn&apos;t cut it Calvin. Using your seven million followers on Twitter isn&apos;t going to change that.